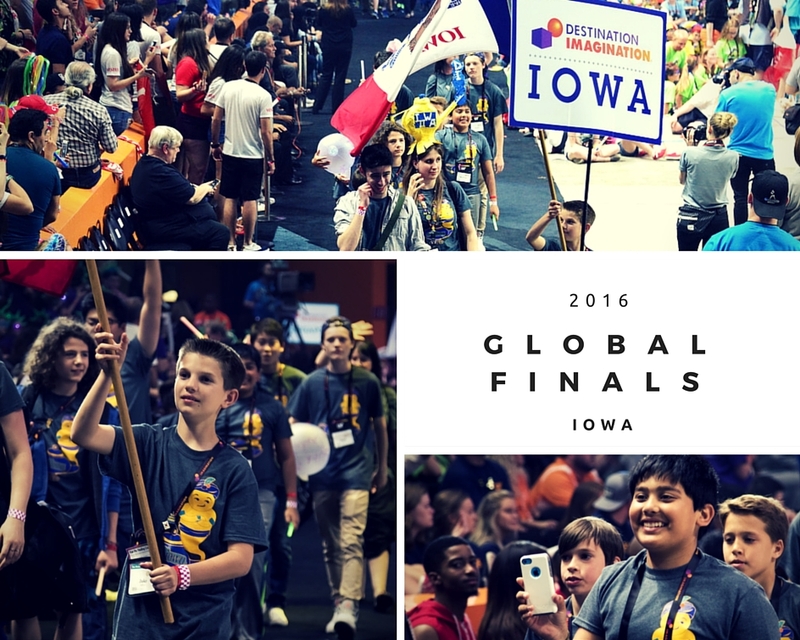 Congratulations to the teams that represented Iowa at the 2016 Destination Imagination Global Finals! The teams did Iowa proud at the world’s largest celebration of creativity; showing once again the enormous creativity found in the heartland. To see how the Iowa teams did, then please look at the table below. If you want to find out how teams from around world did, then visit the Global Finals Results. For more pictures from this event, please visit the 2016 Global Finals Pictures.